The Academy of Country Music announced today that Alabama, Dierks Bentley, Ronnie Dunn, Sara Evans, Martina McBride, Reba, Blake Shelton, Carrie Underwood and Zac Brown Band with James Taylor are scheduled to perform as part of the 46th Annual ACM Awards. In addition, Nancy O’Dell and Ryan Seacrest are scheduled as presenters. In related news, New Artist of the Year nominees Eric Church and The Band Perry will document their adventures in the “Road To The ACM Awards” web series, exclusively on CBS.com. The webisodes will lead up to the April 3 awards show, which will be broadcast live from the MGM Grand in Las Vegas on CBS. See the series here. The two acts each won ACM Awards earlier this year—Church was named New Solo Vocalist and sibling trio The Band Perry won New Vocal Duo or Group. Now they are going on to compete for New Artist of the Year, and the winner will be announced live on the ACM Fan Jam concert stage as part of the awards show telecast. 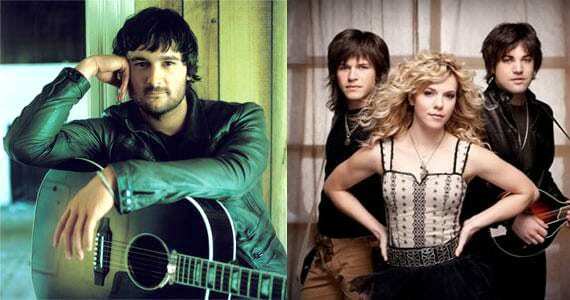 TBP and Church will perform at the event being headlined by Sugarland. Other newly announced Fan Jam performers include Randy Houser, Little Big Town, and Steel Magnolia, with appearances by Laura Bell Bundy, Sarah Darling, Bradley Gaskins and Casey James. Fans can vote for New Artist and Entertainer of the Year at www.VoteACM.com.